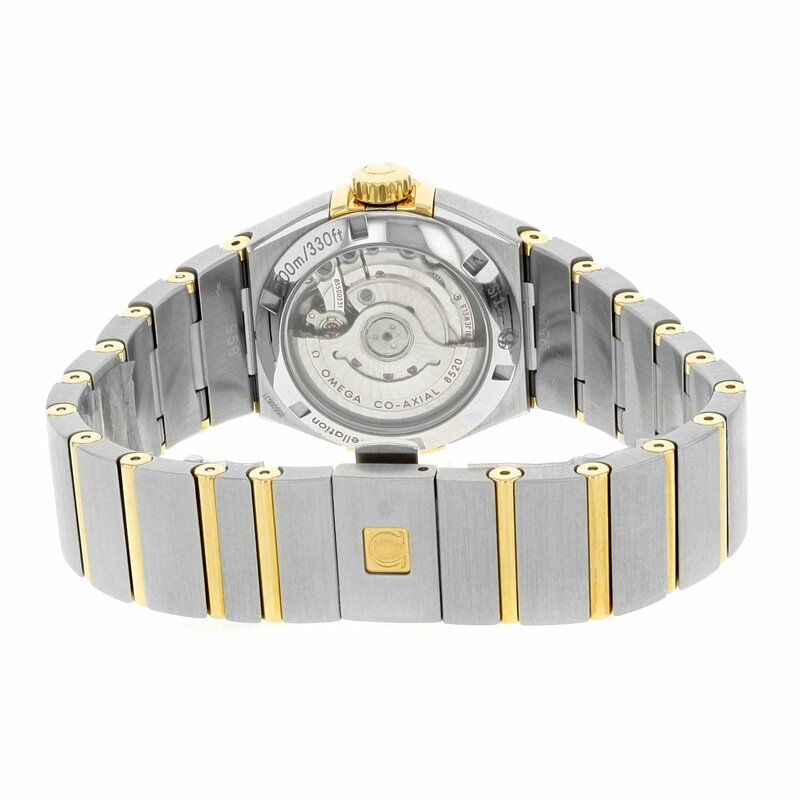 Chrome steel case with a stainless-steel bracelet with 18kt yellow gold bars. 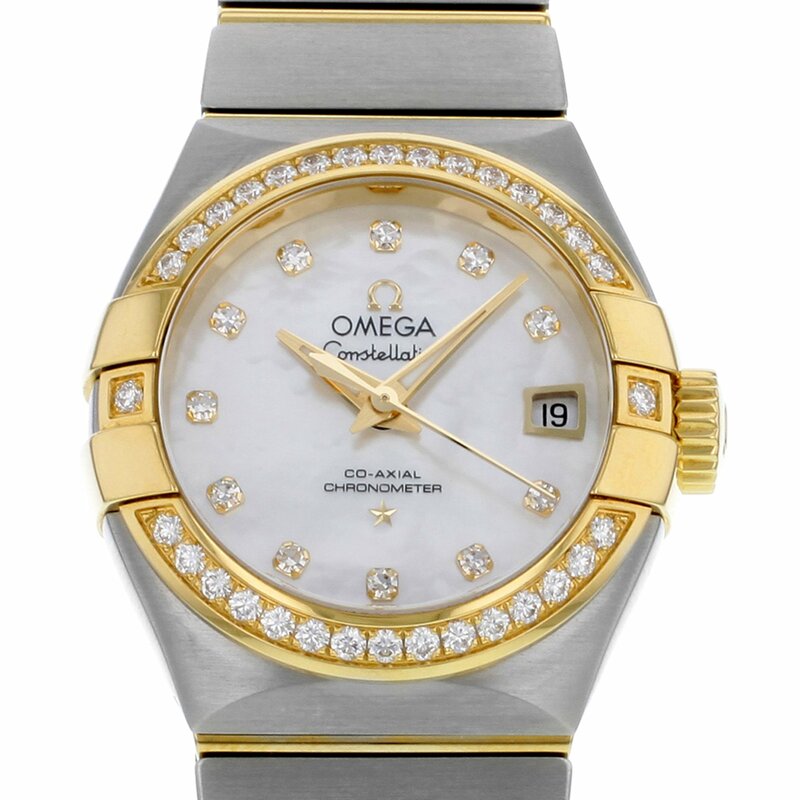 Fixed 18kt yellow gold bezel set with diamonds. 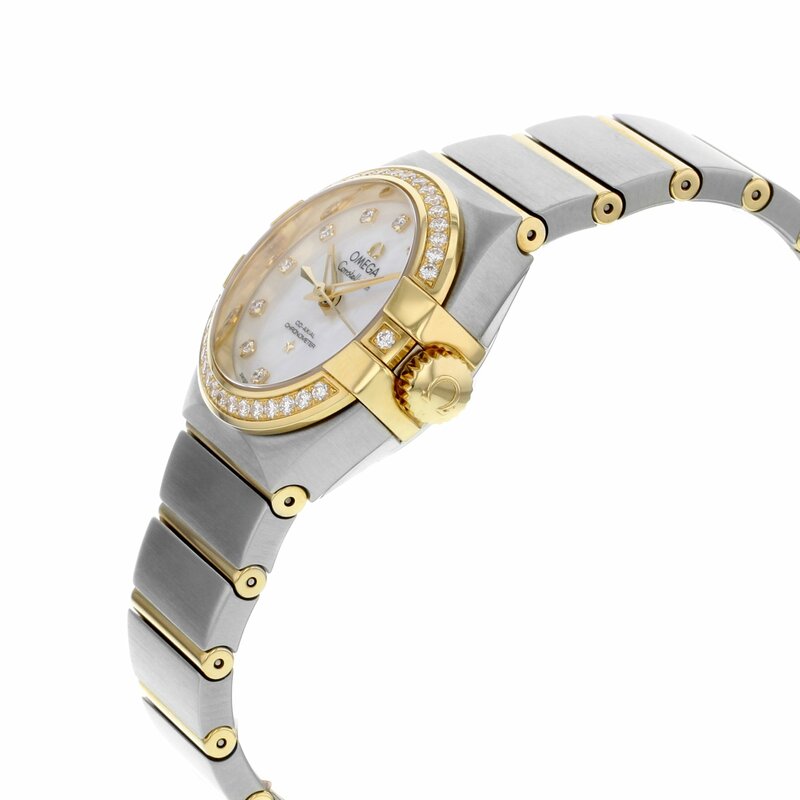 Mother of pearl dial with gold hands and diamond hour markers. Dial Kind: Analog. Luminescent hands. Date display on the 3 o’clock position. Automatic movement with 50 hour power reserve. Scratch resistant sapphire crystal. Pull / push crown. Clear case back. 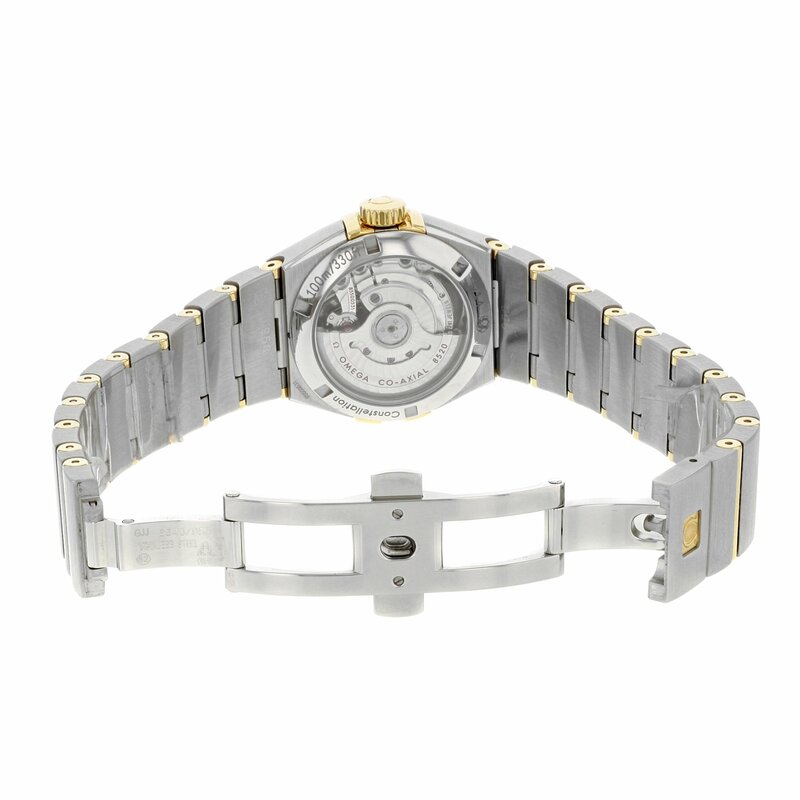 Case diameter: 27 mm. Case thickness: 9 mm. Spherical case form. Band width: 19 mm. Band length: 7.5 inches. Deployment clasp. Water-proof at 100 meters / 330 feet. Functions: date, hour, minute, second. Luxury watch taste. Watch label: Swiss Made. 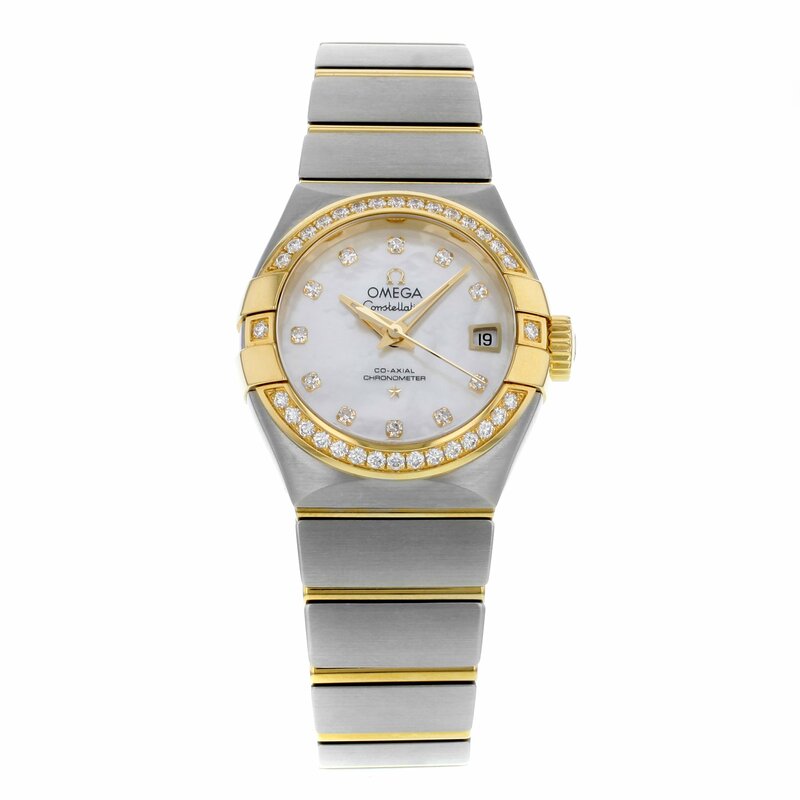 Omega Constellation Mother of Pearl Diamond Dial Steel and 18kt Yellow Gold Women Watch 12325272055003.